As Electronic Arts have announced that EA SPORTS™ is offering FIFA 14 Ultimate Team gold packs to fans who pre-order FIFA 14, Pre-Order yours today direct from our FIFA 14 Store! FIFA Ultimate Team is the popular game mode within EA SPORTS FIFA that reflects the best recent real-world performances of the world’s best players. Over 3.4 million games of FIFA Ultimate Team are played daily, and over 17 million footballers are transferred through the transfer market on a daily basis, as millions of fans re-shape their squads based on the real-world performances of their favourite players. FIFA 14 Ultimate Team gold packs —1 gold pack per week, for 24 weeks. The adidas® Bundle — Includes 2 pairs of boots, 2 balls, and the adidas® All-Star Team. This elite team consists of Messi and 29 of the brand’s top players in the world. Pro Boosters — Receive 5 different Pro Boosts to turn your online pro into a star, upgrading passing, shooting, ball skills and more. Celebrations — instant access to 3 new goal celebrations to immediately start showing up your friends and rivals. Historic Club Kits — Instant access to a collection of historic team kits from around the world. This special pre-order package is available on the PlayStation®3 computer entertainment system and Xbox 360® videogame entertainment system at our FIFA 14 Store from May 23rd, 2013. 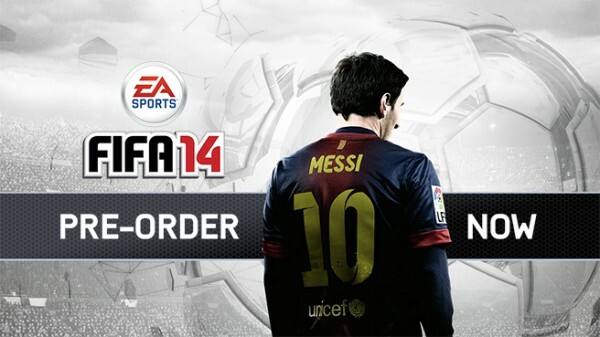 For PC players, the FIFA 14 for PC “Ultimate Edition” will be available exclusively on Origin . Pro Boosters — Receive 5 different Pro Boosts to turn your online pro into a star, upgrading passing, shooting, ball skills and more! Historic Club Kits —Instant access to a collection of historic team kits from around the world. FIFA 14 Ultimate Team premium gold packs — 1 premium gold pack per week, for 24 weeks. FIFA 14 Ultimate Team gold packs — 1 gold pack per week, for 24 weeks. Special Edition adidas® EA SPORTS glider ball – Exclusively created Limited Edition adidas® football. This special pre-order package is available exclusively at GAME until midnight on September 26. For more information, visit our FIFA 14 Store. 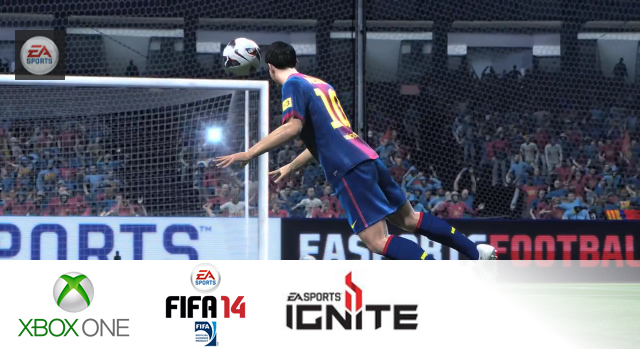 FIFA 14 | See the Next Generation of FIFA!